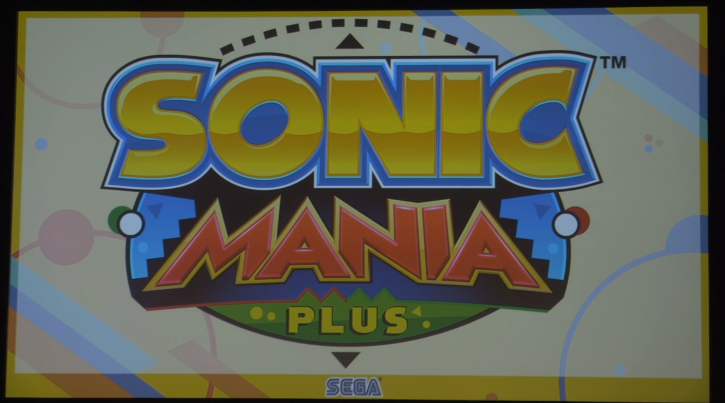 SEGA has announced a physical version of Sonic Mania will be released later this year. The game, dubbed ‘Sonic Mania Plus’, will also be something of a ‘micro-update’ as it will essentially be the same game with the added bonus of two new playable characters. And, for fans of SEGASonic the Hedgehog Arcade… you’d better be sitting down. 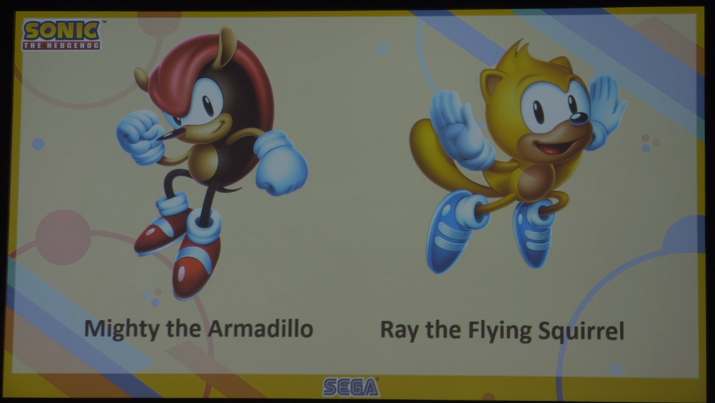 That’s right, long lost franchise heroes Ray the Squirrel and Mighty the Armadillo have been confirmed as extra characters in the retro platformer. Also the game will include a new ‘Encore Mode’ and a four-player competition mode. 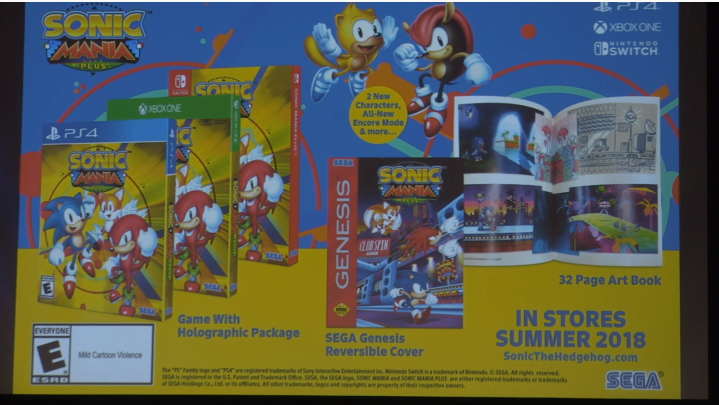 Holographic slip cover, 32-page art book and reversible Mega Drive slip cover. It will retail for $29.99 and release in Summer 2018. The existence of ‘Project Plus’ was first noticed on Steam a few months ago, so it’s good to see this confirmed – with a little added bonus. More details are coming as we get them, live from the Sonic SXSW stream – stay tuned to TSS! I sort of did. Someone on 4chan was trying to hype up an update to Sonic Mania called “Sonic Mania Plus” but everyone including me called him a liar (even though we wanted it to be real). His claims were more sweeping than this, though. One of my friends thought it would be new levels, though I had my doubts. So what do I do with my digital copy on the Switch? Wait for the (free I think) update to land as DLC on the launch of the physical release. Yes, they said this as part of the announcement. The hyped level is over 9000!!! Actually Sega themselves de-canonized his appearance in Chaotix as of Sonic Heroes. So in their eyes he’s only ever appeared in SegaSonic. to be honest – when they said two new characters were coming, i had my hopes up for Amy and Metal Sonic because i couldnt give any less of a care for Mighty or Ray. Amy is TOO Slow. She can’t really fit in on Sonic Mania. And if her ending was put in, what would it be? Amy telling the story of winning Sonic’s Heart in the form of a picture book to Baby Cream the Rabbit? Because that would be really cute. And yet she was fit into the Advance trilogy without issue. The only reason why I never push for these two characters is because I thought they were dead to SEGA! To me this is a far better surprise than Amy to have included! (Although, tbh, it’s not a competition. Amy should be included as well). I take it the digital copies update the day tell physical versions are released? Hope they added the missing cutscenes, and that we get to choose the partner we want, instead of just Sonic+Tails. Finally! Watching the Sonic twitter feed/ readong rumors paid off! I got the Switch recently and always thought of getting this game for it, but I really prefer physical copies of games and don’t have that many physical copies for my switch. So I just thought I’d wait for the physical release and it’s here and then some! I also always thought collecters editions of games were great, but never bought them myself bc they’re always so expensive but this is like a mini collectors edition on the cheap, that also added a solid multiplayer mode! This is a day one buy for me! What exactly is “encore mode”?